Parking: There is on-street parking in front of the library on Harriet Street and in the parking lot shared by the Junior Museum & Zoo and the Children's Theater between Hopkins Street and Middlefield Road. Built in 1940, the Children's Library was the first freestanding library in the United States intended solely for children. 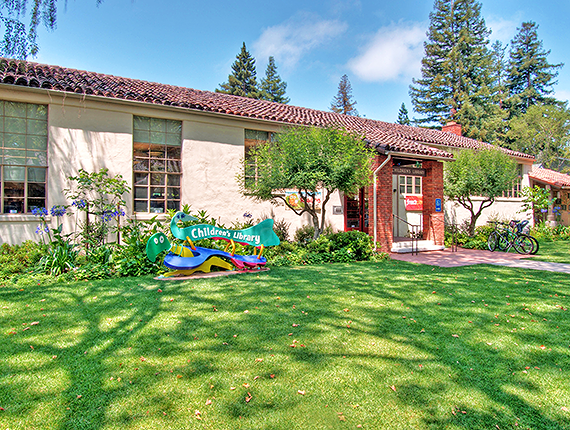 The Children's Library serves children from birth through 5th grade in a fun and inviting garden setting. Computers are available for ages 11 and under.